What is Reputation Management and Why Your Practice Needs it. The healthcare field is a reputation-driven market and in order to continue appealing to new potential patients and to keep current patients satisfied, reputation management is crucial. Reputation management is the practice of shaping and maintaining the public perception of your practice through online information. The digital information about your practice serves as a “litmus test” to potential patients. Competition is fierce and one negative review could deter a potential new patient from calling your office. There are many different components of reputation management that work together to show how your company is doing and provide opportunities for improved patient satisfaction. The first step in reputation management is monitoring references of your practice on strategic social media platforms as well as carefully made search queries. Processes as such, allow you to become aware of the public opinion of your business. Knowing something as crucial as what the public thinks and feels about your practice can help create a personalized campaign to grow your practice. A great thing about communicating through reputation management is that it gives your practice the chance to communicate with its customers and vice versa. It spreads the positive effects of your practice and encourages others to publicize about it positively. It gives the customers you’ve had a chance to let the world know all about their positive experience with your company and why they recommend you to others. Unfortunately not all reviews are positive, but those negative reviews are the ones that need to be addressed head on. 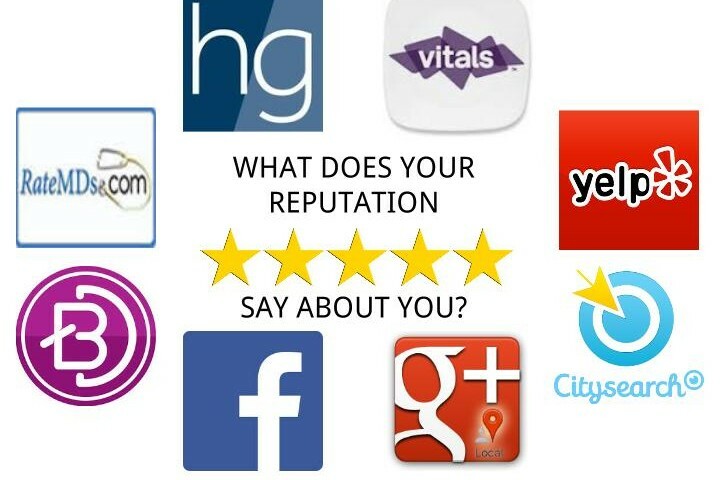 There is nothing worse than leaving a negative review about your practice as is. A negative review can only be persevered as truth unless you reply to it. This is NOT your opportunity to rip into the person who left it, but rather your chance to put a positive spin on a negative situation, forcing potential patients to still give you the benefit of the doubt. Reputation management can be a heavy load to add to your daily responsibilities, but is extremely important to the success of your practice and that’s what we are here for. Prescription PR uses a wide array of methods to not only encourage commendations online, but helps filter out and respond correctly to negative criticism.